Representing a bottled drop of blossoming flower nectar where “the petal turns into a blossoming flower, yielding a drop that captures its purest perfume…its nectar. A generous drop of nectar from the purest rose”. A floral woody scent, the composition blends honey pear accord with sweet rose and creamy sandalwood. 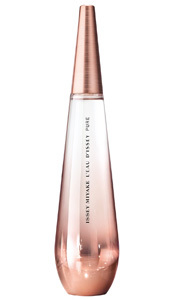 Issey Miyake launched L’Eau D’Issey Pure Nectar in 2018 as a floral fragrance for women.